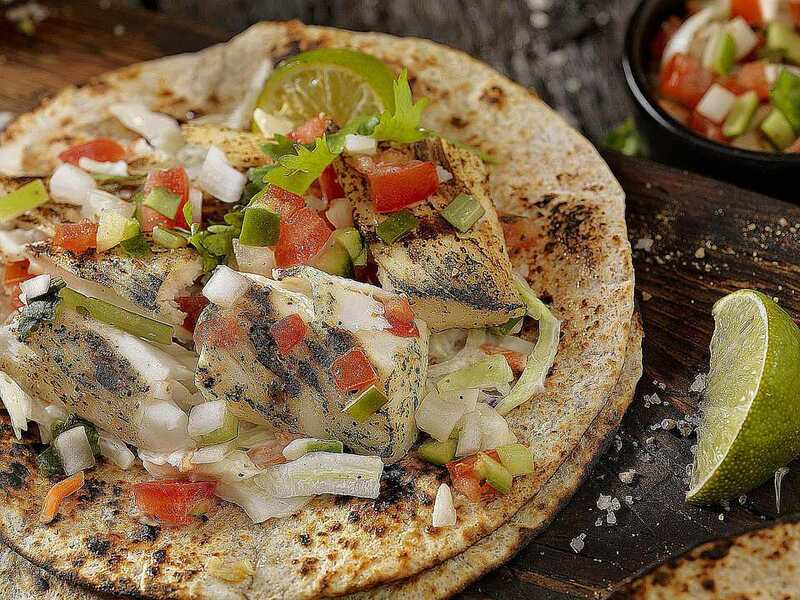 These mahi mahi fish fillets are marinated in southwestern seasonings, making this a great main course and a perfect fish for Mexican-style dishes like fish tacos. 1. Combine all marinade ingredients. Mix well. Place fillets in a large resealable bag of shallow baking dish. Add marinade and turn to coat. Refrigerate for 30 minutes. 2. Preheat grill. Remove fish from marinade and place on hot grill over direct heat for about 3 to 4 minutes per side, or until done. Once cooked, remove from heat and either serve as is or slice and add to tacos.